City destination Berlin: Looking for eco-friendly hotels, tours, activities and restaurants in Germany’s capital? Here our recommendations for green accommodation, tours and healthy restaurants in Berlin. What draws attention is the atmosphere of happiness, solidarity and creativity in Berlin. Remembering the history of the city, you may be surprised by the drastic change – how the war legacy created a base for the construction of contemporary innovative places, how once divided into two, now the city stands up for values of freedom, tolerance, and diversity, and for a sustainable way of living. This reflects in the many sustainability and grassroots initiatives, for example, Emergent Berlin Fest. At the same time, Berlin’s urban development strategy 2030 envisions a green and compact city, boasting a dense network of green spaces and corridors which are accessible by foot and add to a healthy lifestyle. Tip: get a Berlin Welcome Card for up to 6 days (that’s what we used) to be able to use all public transport and discounts for museums, shops and more. Berlin U-Bahn (underground, subway) can make you feel a little lost at first sight. But once you’ve figured out how the lines are connected, it is very convenient to use – especially since the tourist sights are distributed all over the city. Bicycle is another option for those who prefer to travel slow, and would like to explore the many things along the way. Berlin is continuously improving and investing in its public bicycle network. 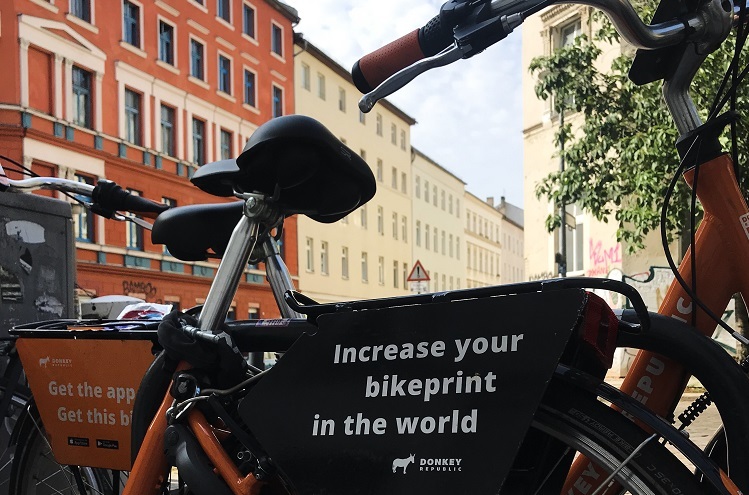 Thanks to the Volksentscheid Fahrrad (Bicycle Referendum) initiative, Berlin is becoming a bicycle-friendly city. The initiative is also a good example of how citizens take responsibility for the place they care about, responding to global issues like climate change with local initiatives. The guys at Circus really know how to please their guests. The Hotel is ideally located in the centre of the city, just a stone’s throw away from the boutique shops of Hackescher Markt, the galleries of Scheunenviertel, and the museums of Museum Island. For those with a smaller budget, the Circus Hostel is across the road, and there are also the Circus Apartments for those who need more space or are planning to stay longer. Read our interview with Marc Lorenz, Manager of Lulu Guldsmeden, or check availability and rates here. Germany’s most sustainable conference hotel is a short train ride from Berlin. Not your place for visiting Berlin, but if you have a bit of time and would like to explore the capital’s surroundings in a very quiet setting, this is it. Read our interview with Michael Stober or check availability and rates here. Berlin has a never-ending list of things to do. Here only a few suggestions. Don’t hesitate to contact Berlin Tourism for advice on sustainable adventures and eco-friendly activities in the German capital! Prinzessinnengärten is located in Kreuzberg, vibrant and artistic district. In summer you will find a nice café with refreshing homemade lemonades. All the revenues from the bar support the non-profit learning activities offered in the garden. Ton Steine Gärten at Künstlerhaus Bethanien cultural center is a nice place to start your day: go for the breakfast in the local café, visit contemporary art exhibitions and the historic building, spend some time wandering around Kreuzberg district and come back for an open-air cinema to the cultural center in the evening. 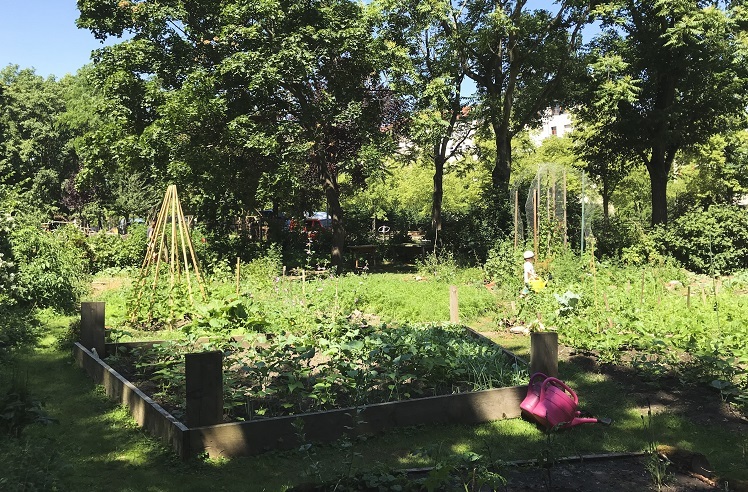 Are you especially interested in exploring sustainable and eco projects in Berlin’s neighborhoods? These guys know where to go. Check their tours and go to explore and learn. Berlin is well-known for its many parks, with Tiergarten being the most popular. Locals love to hang out in them during summer, or whenever the sun comes out. Have a picnic and beer under some shady tree. 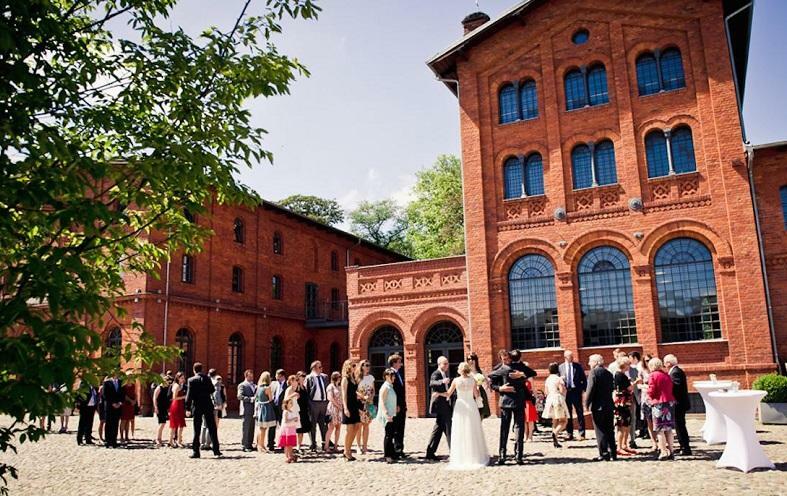 Or: relax along the Spree river (two popular spots are at the East Side Gallery and Embankment of River Spree, Monbijou Park with music, dances, bars). If you are looking for a calmer atmosphere, head to the Landwehr Canal. You will find plenty of eco-friendly and delicious places to eat in Berlin, which is also the capital of organic “bio” supermarkets and shops. Already ensured for your upcoming trip to Berlin? We use World Nomads. Here’s why. Like our recommendations of hotels, activities and restaurants in Berlin? Spread the word!